In Jerusalem, we say that you come for the hummus, but stay for the incredibly diverse dining scene. 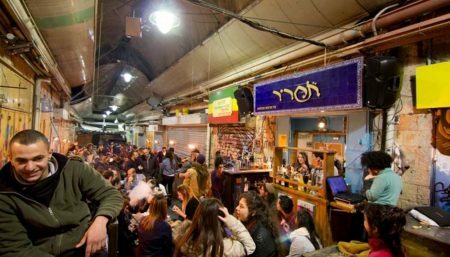 From traditional Middle Eastern and North African to South American, Asian fusion, and continental European cuisine; from street food to fine dining, Jerusalem’s got it all. Check out our comprehensive restaurant listings to find your Jerusalem dining destination! Невероятное предложение от ресторана Pichonka! Особое угощение в «Долфин Ям» – закажите ужин на двоих и получите 2 бокала вина!